I’m sure you’re already counting down the days until your Summer vacation, but have you started an end of the year countdown with your students yet? I have done this “Popping Into 1st Grade” bulletin board for the past 3 years and my students ABSOLUTELY LOVE it. I’ll admit it…I have a lot of fun with it too and love seeing the excitement on their face each morning as they wait on the whole class to arrive so we can pop the next balloon. 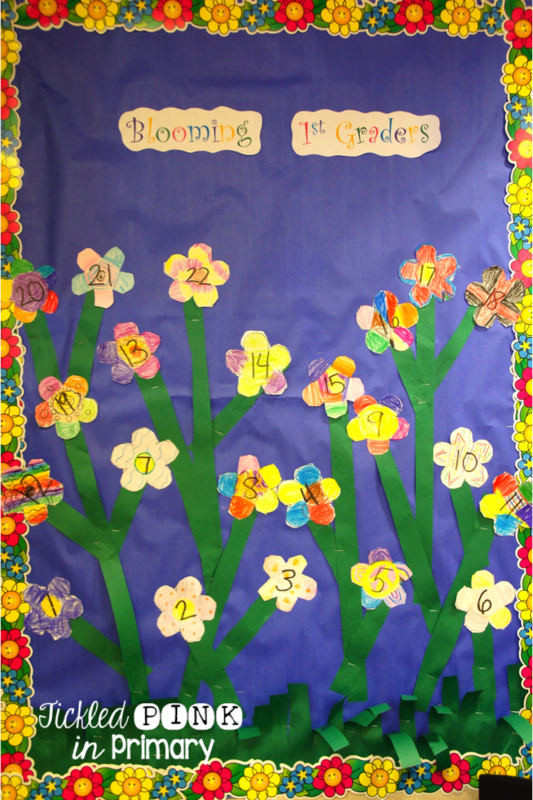 I start my end of the year countdown the last 20 days of school and put this bulletin board in the hallway so the whole school can count down with us! I fill each balloon with an activity written on a small piece of paper. I made the clown the old school way – tracing it onto bulletin board paper using my projector and then coloring it. 🙂 This bulletin board keeps my kiddos engaged throughout the rest of the year. I tell them that if they don’t make good choices, they can’t participate in the special activity for the day. Yes, I’ve actually made students sit out and watch everyone else have fun because they weren’t making good choices = mean teacher. LOL! Below are pictures of a few of the end of the year countdown activities included. 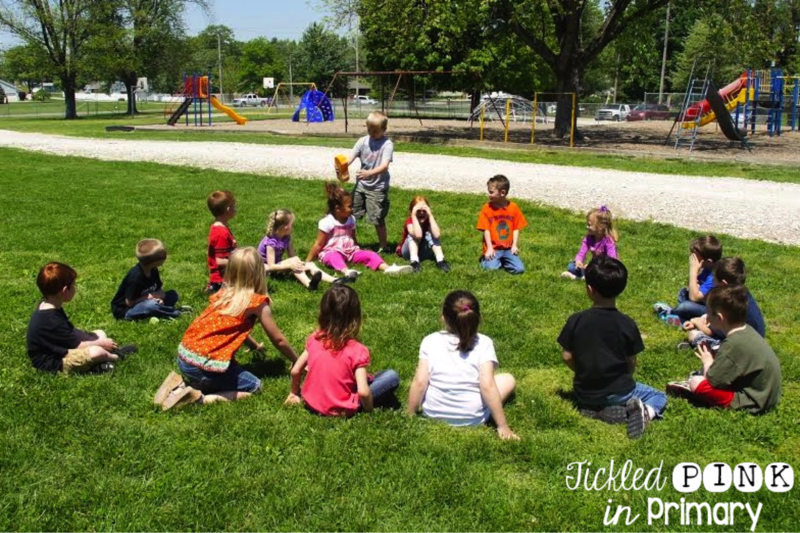 We typically do the activities during our “free play” time at the end of the day. This way we aren’t losing any instructional time. Well, let’s be honest, how much are they really paying attention anyway during instructional time the last 20 days? This day was “use sidewalk chalk day.” I buy this 52 piece tub of chalk on Amazon for only $11! 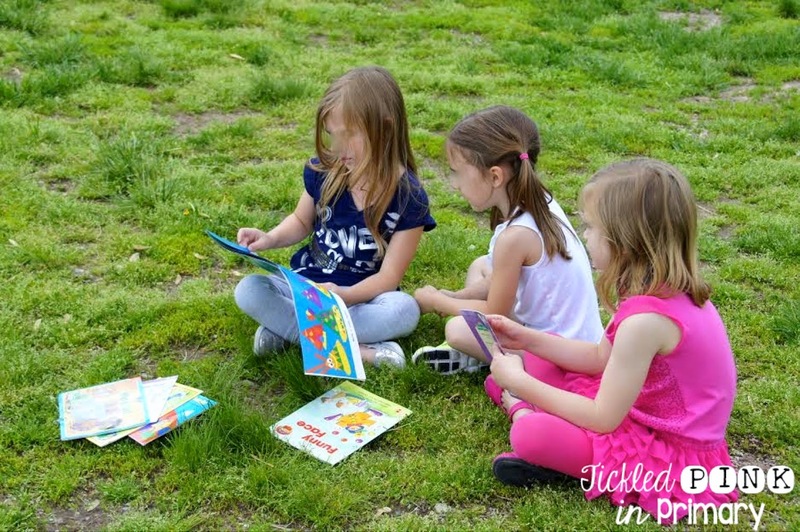 We had a “read outside day” and another day was “read with another class”. They enjoyed both of these! It was fun going into another teacher’s room and getting to pair up with those kiddos and sit wherever they wanted to in that room. 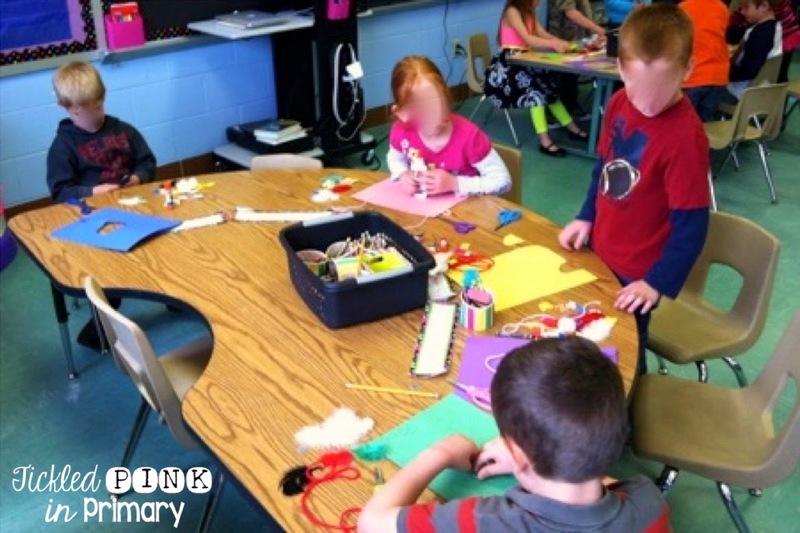 “Crazy craft day” was a favorite because I dug out a TON of random craft supplies and just let them go to town. They could make anything they wanted with whatever they wanted. For my OCD self, this was a bit hard to watch! The game below is called “Drip, Drip, Drop” and was probably the class’s favorite end of the year countdown activity. I learned this game when I was a camp counselor in college. It’s been introduced this game to all 4 schools I’ve taught in because it’s just that much fun! Our schools have been doing it during the End of the Year field day. Doesn’t this popping balloon idea sound like a blast? Guess what??? You can grab a list of 25 activities and a clown to trace FREE in my TPT store. 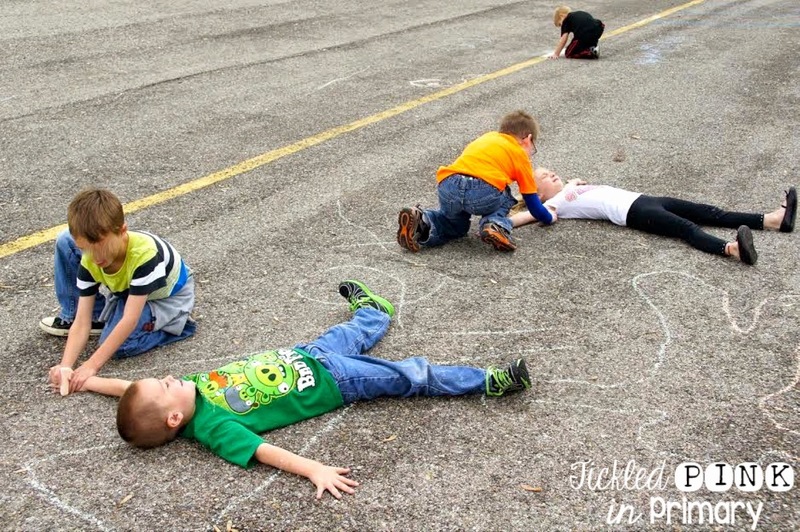 I’d love to hear if you end up doing this in your class! We actually put up one more countdown inside our classroom because getting through our first year of school is just so exciting! I have each kid in my class make a flower and then we take a flower off each day. There are some Amazon affiliate links in this post in which I may receive a few cents from your purchase as no cost to you. Good timing for this then!